This JUNE, be a part of this one of a kind event. 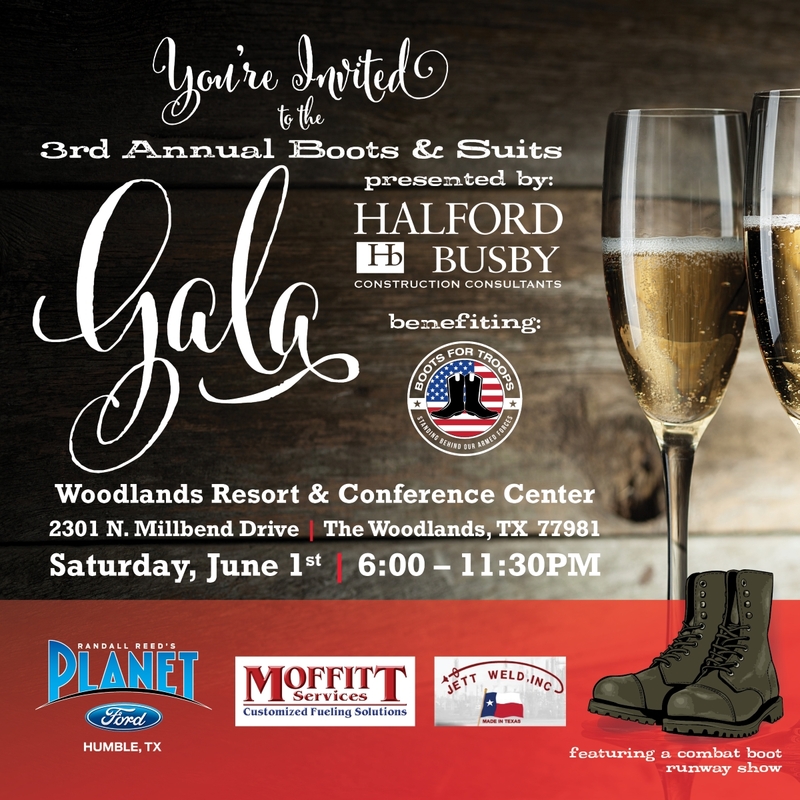 Boots For Troops 3rd Annual Gala presented by Halford Busby. This year’s gala will feature Boots For Troops combat boot runway show. The organization has collected five pairs of worn combat boots from United States service members. Each pair of boots will be modeled down a fashion runway while a short story is read to honor the service member who wore the combat boots in service. Recently, U.S. 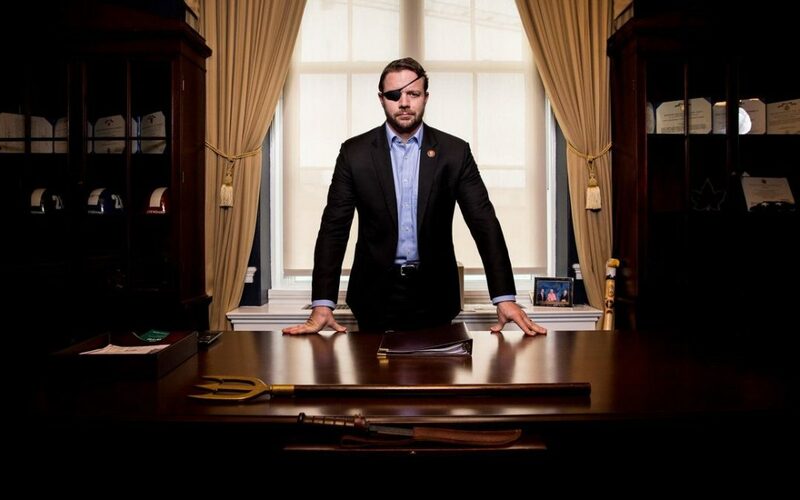 Congressmen (TX) Dan Crenshaw agreed to donate a pair of his Navy SEAL worn combat boots. After the boots are modeled, the room will open up to a live auction format. Local businesses, and patrons will bid on the boots. 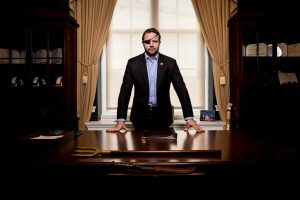 The winning bidder will take these special boots home in a shadow box completed with the boots, pic of Dan Crenshaw and his written story about his boots. The event will also feature four other pairs of combat boots worn by American heroes, including Retired Army Captain Chad Fleming. Captain Fleming has been deployed overseas six times with the U.S. Army’s elite 75th Ranger Regiment in support of both Operation Enduring Freedom and Operation Iraqi Freedom. He has been wounded in combat on three separate occasions and has undergone 23 surgeries, one of which resulted in a trans-tibial amputation of his left leg. While most would assume this type of injury would conclude someone’s service to their country. Captain Fleming has re-deployed five times since his injuries, each time going right back into the fight. He is one of the few amputees who have been able to redeploy into combat as an amputee. All proceeds raised will benefit Boots For Troops programs. 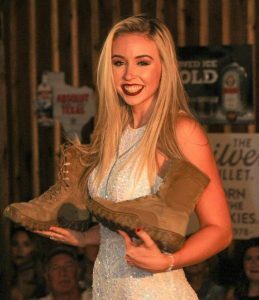 Jeff Peterson, an All-State Agent in Conroe, TX won the bid for a pair of boots back in 2017 at the Boots For Troops Combat Boot Fashion Show. He has his shadow box in his office. “People ask me all the time about the boots, it’s a great conversation starter and it shows that The Peterson Agency is proud to support our troops and partner with Boots For Troops”. The event is taking place at The Woodlands Resort June 1st at 6PM. Boots For Troops would like to thank Halford Busby, Barbara Seldin, Moffitt Services and Planet Ford Humble for sponsoring this special event. Individual tickets and tables are available for purchase by contacting Boots For Troops offices at 346-703-0934 or email Info@Boots4Troops.com. There is also more information at www.Boots4Troops.org.